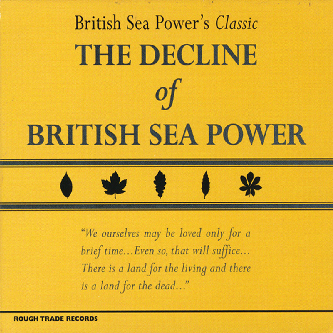 Latest album on Rough Trade, this time coming to us from Brighton’s excellently named British Sea Power. The key here is a somewhat frantic, excellently performed array of indierock, punctuated with the odd foray into melancholy, gentle balladeering. Check.